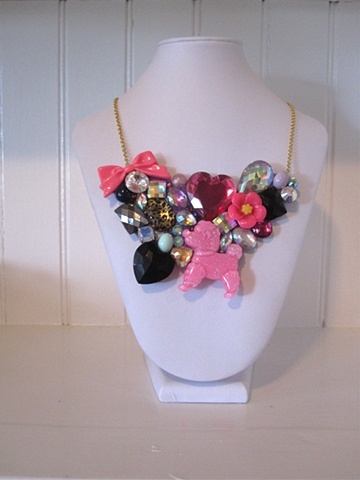 A glitter poodle, a pink bow, flowers, hearts, and animal print, plus a heaping amount of rhinestones. Kitschy? Yes. "too shea-mless"? Never.